When the Keurig machine was invented, sales skyrocketed because the convenience of brewing a single cup of coffee at work or at home in a few seconds was something that was never possible before. Several years later, enter AnyCafe, the travel mug that brews coffee. Engineered by a few college students from New England, AnyCafe is the first portable K-cup brewer that allows people to make coffee anywhere, even on their morning commute. Simply choose a K-cup, pop it in the mug’s chamber and fill the AnyCafe shaft with any temperature water for a nice warm cup of joe when you want it. AnyCafe came to Enventys Partners eight days after launching on Kickstarter with a little less than $10,000 in funding and a goal of $75,000. Quickly after being onboarded, the paid advertising and public relations teams began their work. To ensure a quick and steady increase in backers, the paid advertising team tested multiple audiences and was able to gradually lower the spending cost and attract a larger number of visitors to the Kickstarter page, many of whom ended up converting into backers. Using various images, short videos and press hits, the paid advertising team engaged with the audiences who mattered most and converted them at a high percentage. At the same time, the public relations team drafted a press release announcing the launch of the campaign, which was distributed on the newswire and to nearly 10,000 press contacts. Additionally, the PR team contacted a variety of personal press contacts who showed interest in the innovative product. 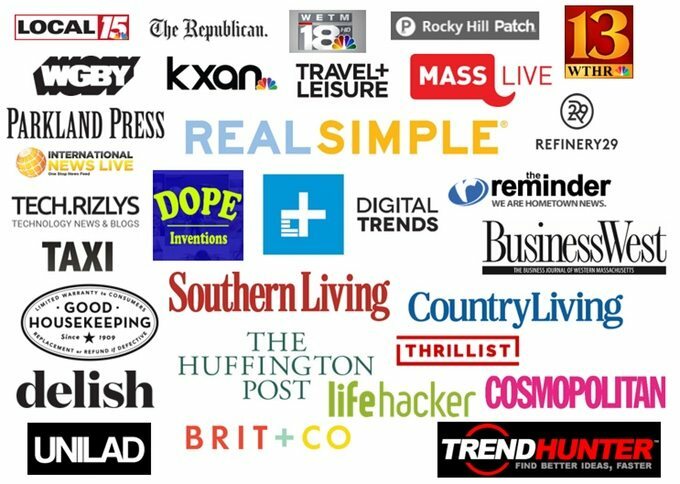 The PR team was able to secure coverage for AnyCafe in over 20 top-tier media outlets that include Real Simple, Digital Trends, Thrillist, Woman’s Day and Refinery29. With the PR and paid advertising teams working together to help AnyCafe gain exposure, Enventys Partners was able to bring AnyCafe’s funding from under $10,000 to over $93,000 in a short period of time.